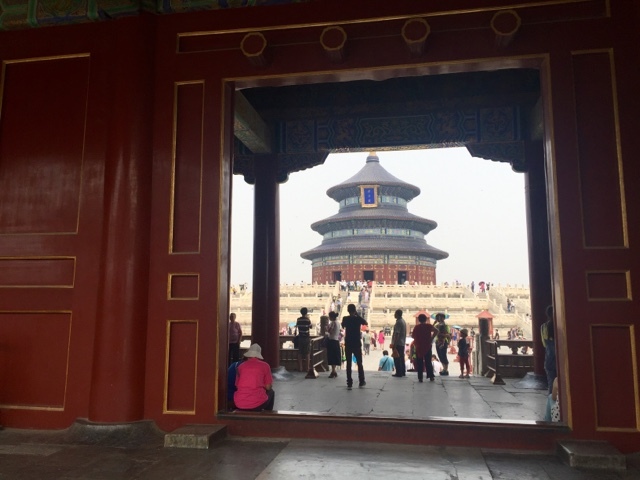 TOP 10 places to see in Beijing. - MisTan IzZy | Travel & Lifestyle. 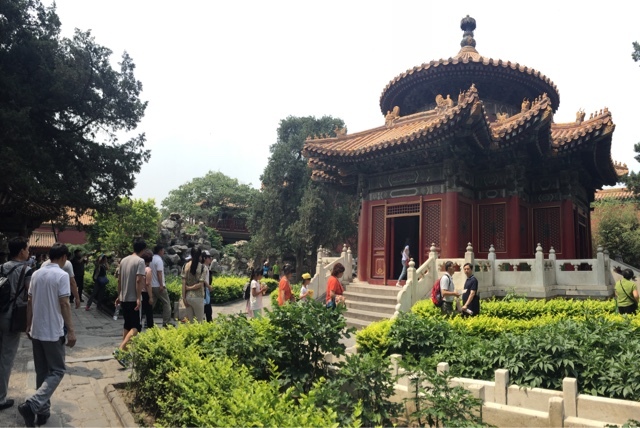 Jingshan Park is situated in the center of the city, and its a beautiful royal landscape garden. The park itself stands on the central point of the south-north axis of the city and it faces the north gate of the Forbidden City. From the top of the hill, visitors get to see a full and clear view over Forbidden City. Jingshan hill has got five summits, and on each summit there is a pavilion, built in 1751. In every pavilion, there was originally placed a copper Buddha statue which represented one of the five tastes-sour, bitter, sweet, acrid and salt. It is a pity that they were all lost during the warfare of 1900. Among the five pavilions, the Wanchun Pavilion ( Ten Thousand Spring Pavilion ), on the middle of the five summits, sits at the hill's central point of the city. It is a perfect place to appreciate the full view of the city. From this pavilion, visitors are able to see the resplendent and magnificent Forbidden City in the south, the dignified Bell and Drum Towers in the north, as well we Beihai Park and White Dagoba Temple in the west. 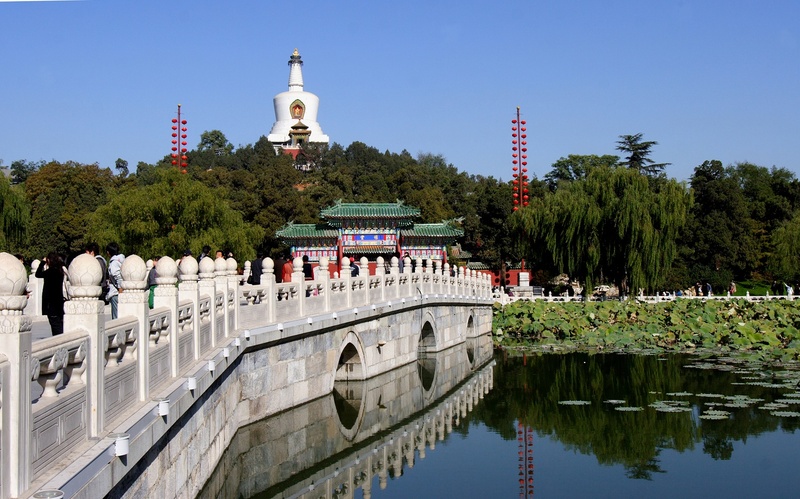 Beihai Park also known as Northern Sea Park, is one of the oldest, largest and best-preserved ancient imperial gardens in China which located in the city center. This ancient garden, with over 1,000 years' history, is not only a classic combination of the grandiosity of the northern gardens and the refinement of the southern gardens in China, but also a perfect integration of magnificent imperial palaces and solemn religious constructions. There are a few major attractions in this park, in the middle of the lake and on the central axis of the whole park lies the Jade Flowery Islet, topped by the imposing White Dagoba which is the landmark. Besides the Jade Flowery Islet, it has four main scenic areas : the Eastern Shore Area, the Northern Shore Area, the Botanical Garden and the Circular City near the north gate. There are many famous and beautiful places you should not miss when touring it. - White Dagoba, Hao Pu Creek Garden, Quiet Heart Studio, Nine-Dragon Screen, Five-Dragon Pavilions, Circular City. I didn't go in to Tiananmen Square as there were too many people queue-ing from the entrance, hence I went straight to Forbidden City and went up to the gate tower to have an overview of Tiananmen Square. Lying at the city center and its called Gu Gong in Chinese, it was the imperial palace for twenty-four emperors during the Ming and Qing dynasties. 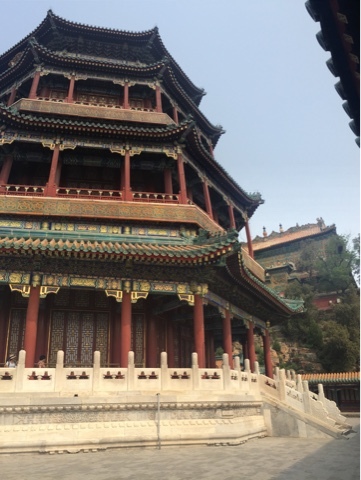 It was first built throughout 14 years during the reign of Emperor Chengzu in the Ming Dynasty ( 1368-1644 ). Ancient Chinese Astronomers believed that the Purple Star ( Polaris ) was in the center of heaven and the Heavenly Emperor lived in the Purple Palace. The palace for the emperor on earth was so called Purple City. It was forbidden to enter without special permission of the emperor. Hence its name "The Purple Forbidden City" which direct translate from Chinese. 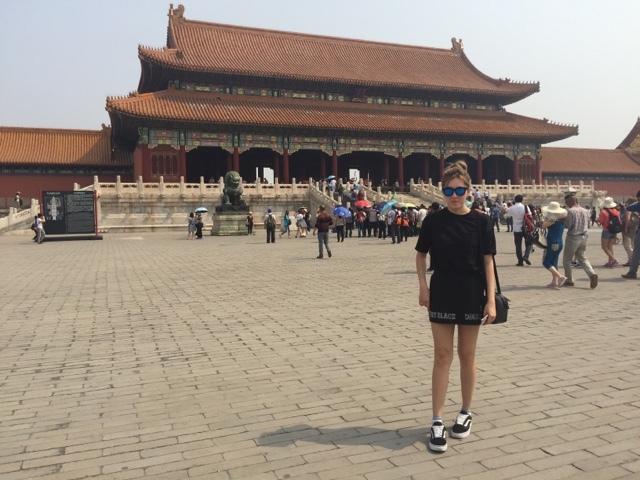 Forbidden City is now known as the Palace Museum ( Gu Gong ), it is to the north of Tiananmen Square. The museum carries out a south-to-north unidirectional itinerary. Visitors can only enter through the Meridian Gate ( Wumen ) and leave from the Gate of Divine Prowess ( Shenwumen ) or East Prosperity Gate ( Donghuamen ). 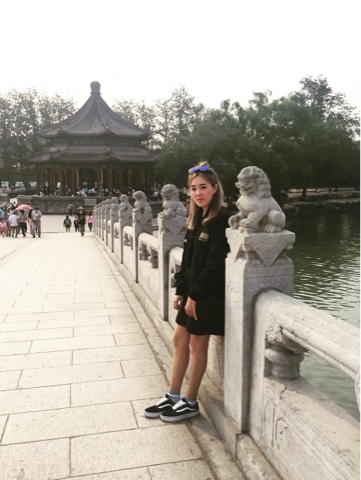 Three to four hours is enough for touring the central axis; if you have interest in exploring more about the imperial palace, more time need to be spent in the west and east wings. * Free for children under 3.9 feet (1.2 meters), each accompanied by an adult. * The Annual Ticket (CNY 300 for 10 entries a year) is only applied to Chinese citizens. The above fares do not include the admission fee for the Treasure Gallery and the Clock and Watch Gallery. 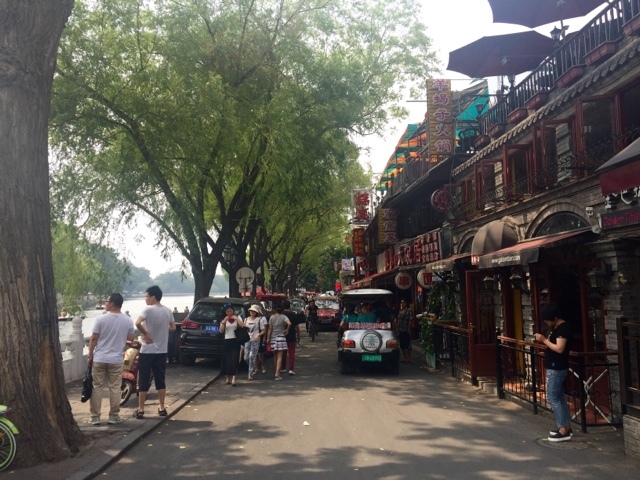 It is a famous scenic area that includes three lakes ( Qian Hai, meaning Front Sea; Hou Hai, meaning Back Sea; and Xi hai, meaning Western Sea ), surrounding places of historic interest and scenic beauty, and remnants of old-style local residences, Hutong and Courtyard. 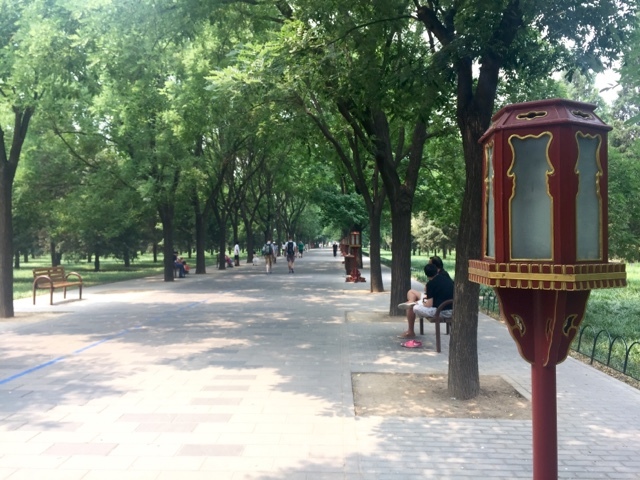 It is located in the northwest part of Beijing, and covers a large area of 146.7 hectares ( about 363 acres ). It is always a good place for local residents' recreational life, and in the last 200 years, many governmental offices, celebrities, monks and nuns chose to build mansions, temples and nunneries in it. Thus, its attraction lies not only in its natural beauty, but also in the historical value of its architecture. 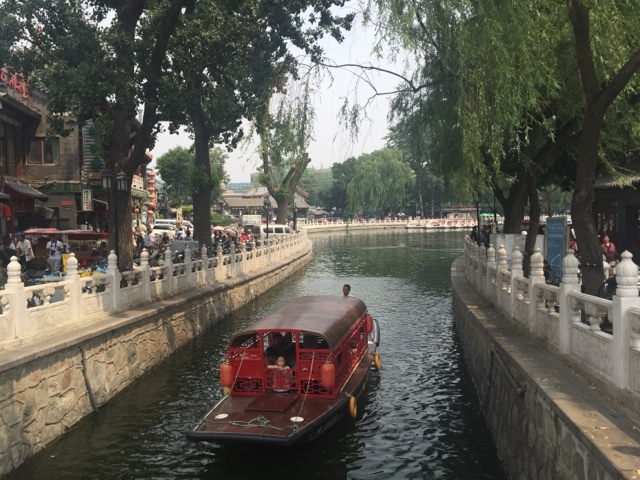 As it is close to the Bell and Drum Towers and the north gate of Beihai Park, visitors can take buses reaching either of them and then visit Shichahai. - Take bus 612, 90, 701, 118, 204,, 623, 42, 107, 13, 111, 609 and get off at Beihai Beimen. - or bus 60, 124 get off at Gu Lout ( Drum Tower ). Beihai Beimen Station is close to Lianhua Market where there are many pubs and the rickshaw tour starts. Gu Lou Station is close to Yandai Xiejie. Take Subway Line 6 and get off at Beihai North Station. 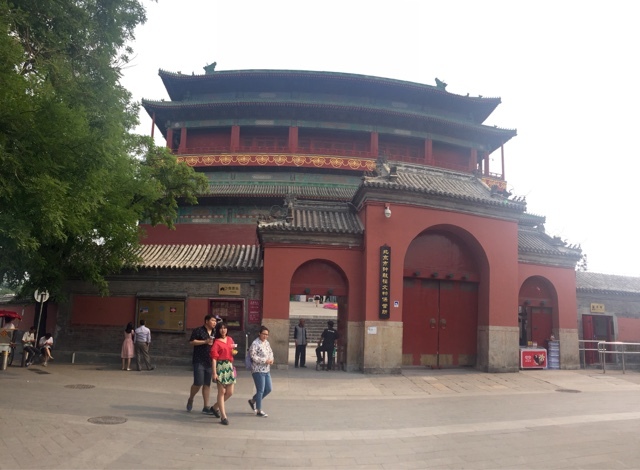 Get out of the station from Exit B and walk along Di'anmen Xi Dajie to the east till you see the gate of Hehua Market. They were originally used as musical instruments in China. Afterward, however, they were used for telling time. As early as in the Han Dynasty (206 BC-220), there was 'a morning bell and a dusk drum'. Telling the time by them played an important role in helping people live and work regularly when there was no other means to keep track of the time. As a result, they became public architectures, and were widely constructed in almost every city throughout the country since the Han Dynasty. In the history of their construction, they are the largest and highest. Their layout is unique, in that they were placed fore-and-aft, not as the traditional sense of standing right-and-left horizontally. - Bell Tower, this brick and stone made building has two floors: there is an arched door on all four sides on the first floor, and you can go up to the second floor through stone stairs. The same exists on the first floor. An arched door was also built on the four sides of the second floor. Hanging on an eight-square wooden frame of the second floor, the bell in it is the largest and heaviest in China. It was made of copper, and you can hear its round and clear sound from far away. From the 2nd floor, you will get to see a panoramic view of Beijing city. 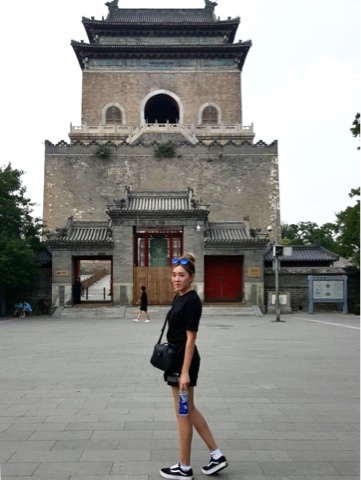 - Drum Tower, located 100 meters south to the bell tower, it was placed on a 4-meter-high stone and brick base, a little bit lower than the bell tower. It is also a two-storey building; the first floor contains the China Committee for the Promotion of the Minority Art. The second floor contains the exhibition area. Originally, there was one big drum and 24 smaller ones, but only the big remains. - Take Subway Line 2, get off at Guloudajie Station, get out of the station from Exit B, and walk south. - Take Subway Line 8, get off at Shichahai Station, get out of the station from Exit A2, and walk north straightly. Temple of Heaven Park is located in the Chongwen District, Beijing. 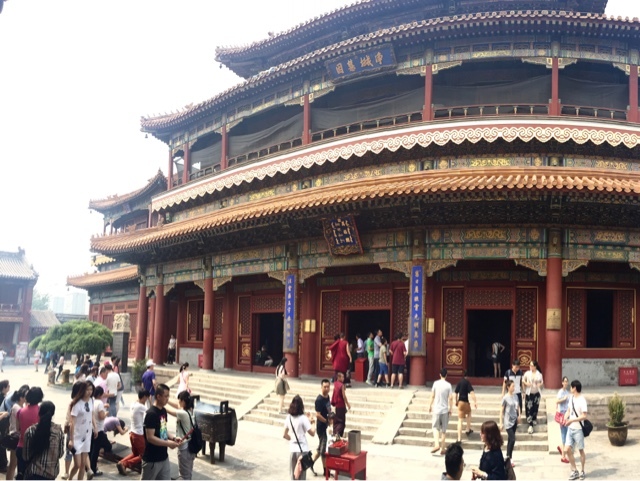 Originally, this was the place where emperors of the Ming Dynasty and Qing Dynasty held the Heaven Worship Ceremony. It is China's largest and most representative existing masterpiece among China's ancient sacrificial building. There are over 60,000 varieties of tree. The most famous tree is the grandfather tree - a 500-year-old Nine-Dragon Cypress with branches like nine dragons winding with each other. These trees create a quiet environment and an ideal resort for the locals to do their morning exercise. Residents living near this place enjoy many activities here, such as running, cycling, singing, dancing, playing chess, flying kites, etc. You can become involved personally in these activities and experience the leisure pursuits of local people. - Take bus 120, 122, 36, 525, 53, 958, Te 11, Te 3, Te 12, Yuntong 102, and get off at Tiantan Nanmen (South Gate) Station. - Take bus 120, 17, 2, 35, 36, 504, 53, 622, 69, 71, 72, 93, Te 11, and get off at Tiantan Ximen (West Gate) Station. 1. North, East, South and West Gates are open from 06:30 to 22:00. 2. Main attractions including Hall of Prayer for Good Harvests, Circular Mound Altar, Echo Wall, Hall of Ceremonial Music and Palace of Abstinence are open from 08:00 to 17:00. 3. Combination Ticket is unavailable after 15:30 at the four gates. 1. North, East, South and West Gates are open from 06:00 to 22:00. 2. The main attractions are open from 08:00 to 17:30. 3. Combination Ticket is unavailable after 16:00 at the four gates. Fees: CNY 100 as guarantee deposit which will be refunded when the machine is returned; the machine rent fee is CNY 40. 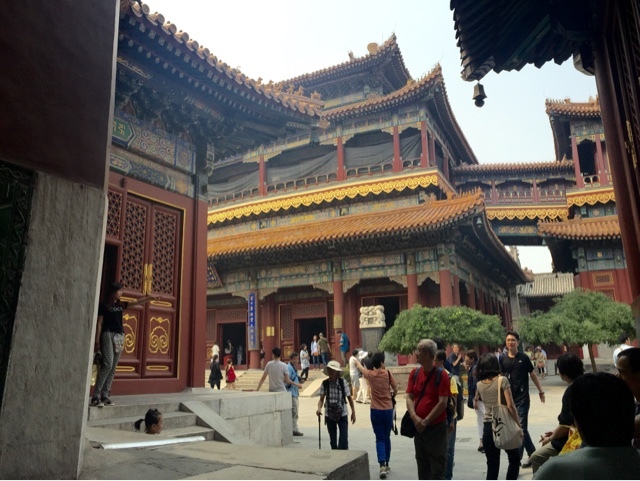 Yonghe Lama Temple is so huge that you feel like you can't finish passing one hall after another. - Take bus 13, 116, 117 or 684 and get off at Yonghegong Station. - Take bus Te 2, Te 12, 909, 116, 684, 62, 13, 44, 18, 75, and get off at Yonghegong Qiao Dong Station. - Take bus 117, 125, and get off at Yonghegong Qiao Bei Station. 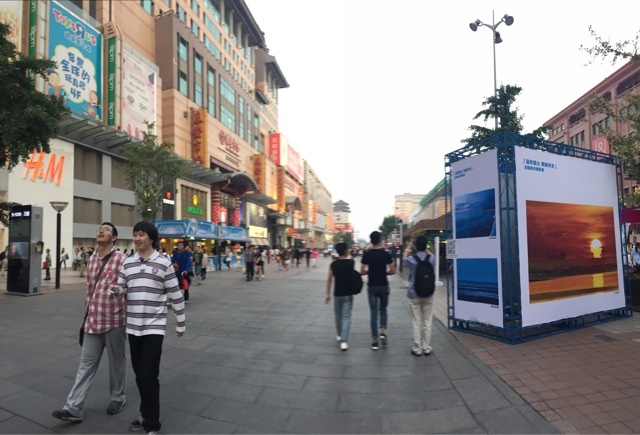 Located near the city center in Dongcheng District, the commercial street is one of four most prosperous business zones in Beijing. It is 1.6km long ranging from Changan Avenue in the south to National Art Museum of China in the north. 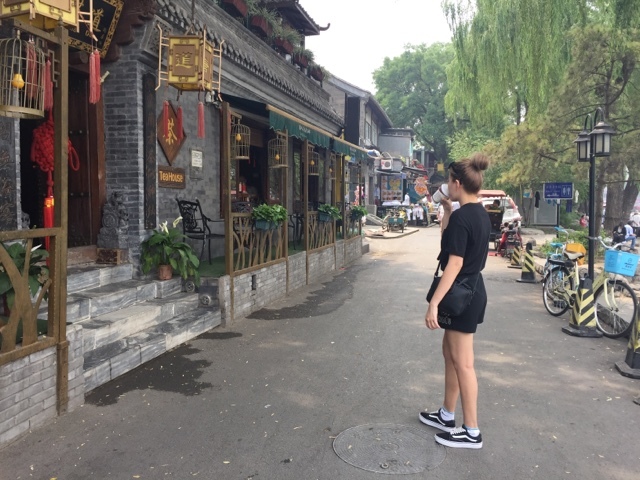 With a history of 700 years around, it got the name Wangfu (royal mansion) Jing (well) because there used to be eight royal mansions and a well with sweet water on the street. Currently, it is the busiest street in this city and there are 600,000 people every day come and go and on holidays, the number can rise to 1,200,000. As the first famous business zone in this city, the street houses a wide variety of shops and boutiques, some of which are of world-famous brands. Apart from that, there are also many time honored stores with traditional commodities standing in the street for hundreds of years. Nowadays this street is a modern commercial street which can be paralleled with Champs-Elysees in Paris. 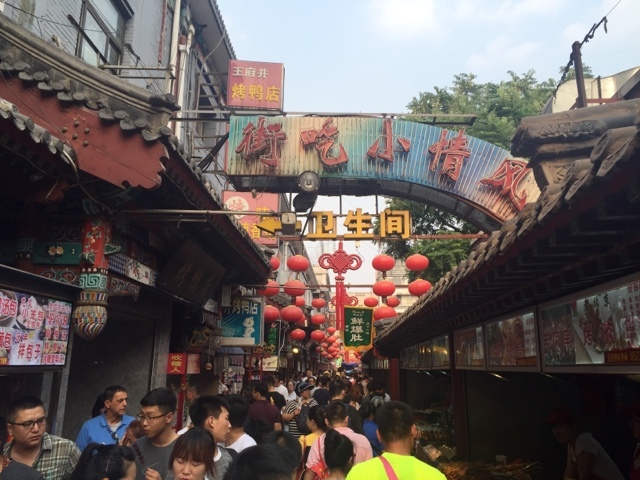 Wangfujing Snack Street, in the south of Haoyou World Mall, there is a street with hundreds of snack stands and shops, which mainly sells nationwide snacks, tourist souvenirs and folk crafts. On the first floor visitors can enjoy over 500 kinds of foods from every corner of China, such as kebab, sugar-coated figurine, tea soup and Tortilla Flat. Foods on the second floor are mainly Muslim-flavored, where the best beef and mutton are provided. 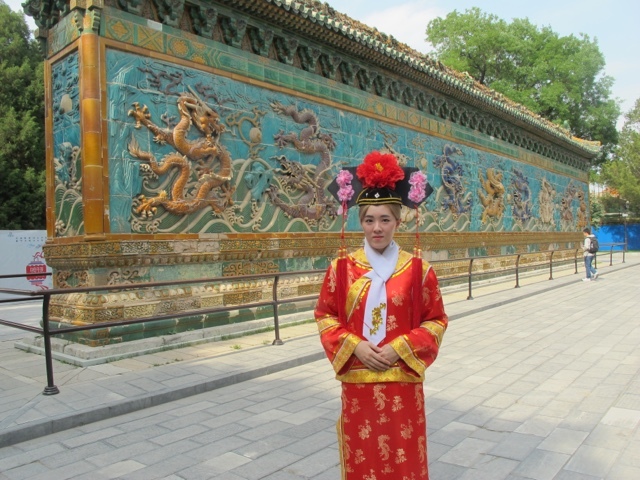 On the third floor visitors can enjoy the exquisite tea and wine with Beijing opera for leisure. 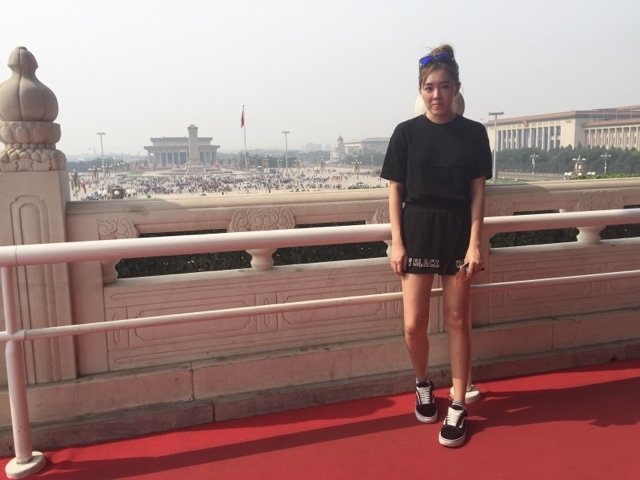 - Take the subway line 1 and get off at Wangfujing Station. The Exit A leads to the commercial street. 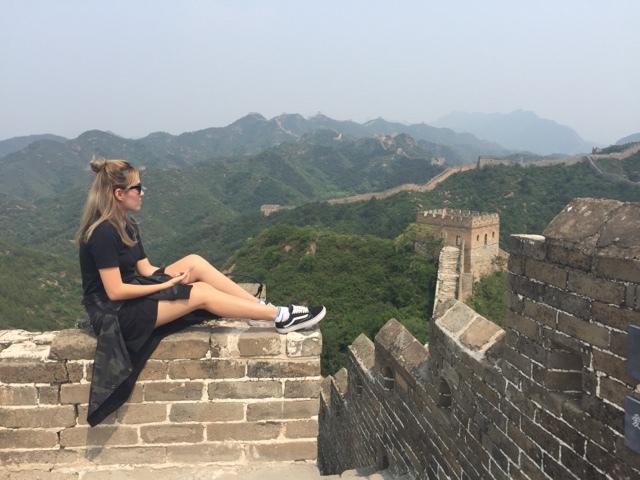 Many people prefer to book a tour because the nearest Great Wall entrance from Beijing would be Badaling, it is possible to reach by public transport however it will consume quite some time. 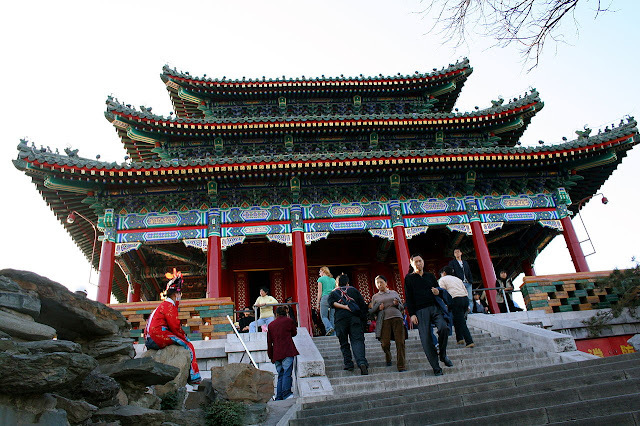 Situated in the Haidian District northwest of Beijing, Summer Palace is 15km from central Beijing. Being the largest and most well-preserved royal park in China, it greatly influences Chinese horticulture and landscape with its famous natural views and cultural interests, which also has long been recognized as 'The Museum of Royal Gardens'. In 1924, it was open to the public. It ranked amongst the World Heritage Sites by UNESCO in 1998, as well as one of the first national AAAAA tourist spots in China. 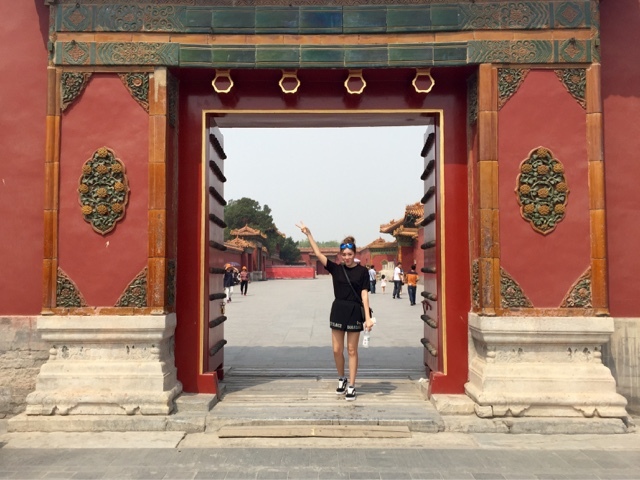 - Take bus 330, 331, 332, 346, 508, 579, 584, 601, 608 or 696, get off at Yiheyuan Station and then walk west to the East Palace Gate. - Take bus 469 or 539 and get off at Yiheyuan West Palace Gate Station. - Take bus 331, 332, 333(内), 333(外), 375, 432, 438, 498, 508, 579, 584, 594, 601, 664, 697, Te 18, Te 19, Te 6, Yuntong 106, Yuntong 114 or Yuntong 118, get off at Yiheyuanlu Dongkou Station (The Eastern End of Yiheyuan Road) and then walk west to the East Palace Gate. - Take bus 303, 330, 331, 346, 375, 563, 584 or 594, and get off at Yiheyuan North Palace Gate Station. - Take bus 74, 374, 437 or 952 and get off at Xin Jian Gong Men (Yiheyuan New Palace Gate) Station. - Subway Line 4: get off at Beigongmen Station (Beigongmen means the North Palace Gate); or get off at Xiyuan Station, get out of the station from Exit C2 (southwest exit) and walk west to the East Palace Gate. Yeay! I have been to most of the 10 you have described. 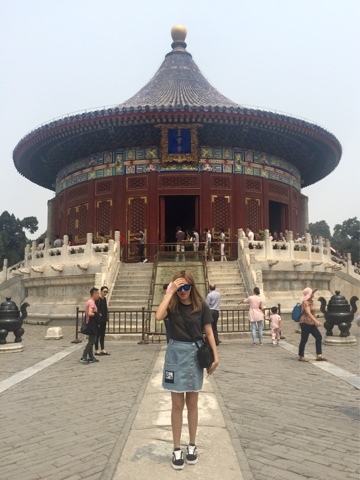 I still want to revisit Beijing. Someday hopefully. 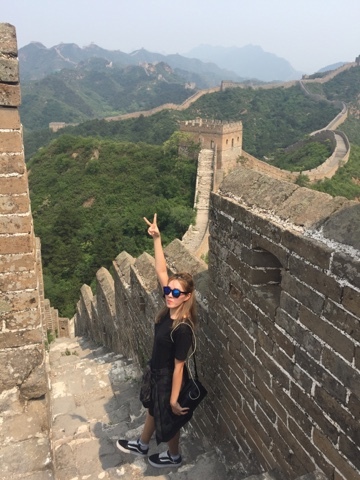 I want to go to Great Wall of China and other places at your list too. it's really good to see you put this in list. i would love to visit BeiJing one day! Hmm. 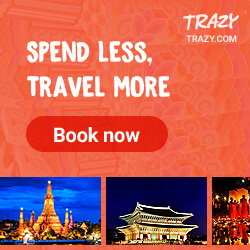 never thought of Beijing as a destination for a holiday... might consider after this! Been to Beijing 10 years ago, guess I should revisit. 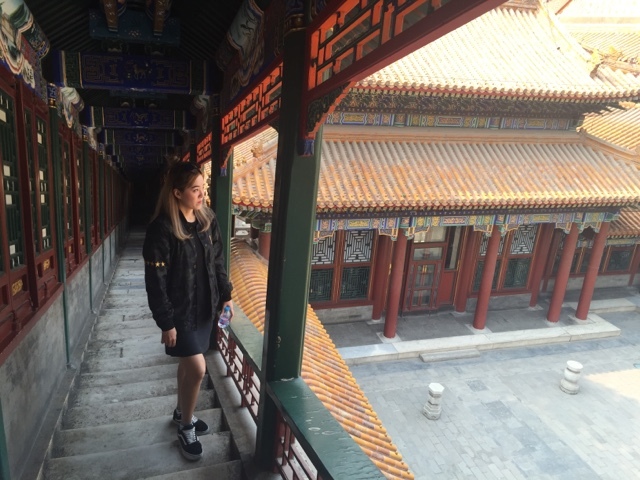 Beijing really amazing and famous with it scenery. 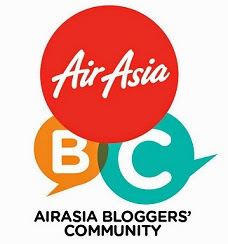 So far not plan to Beijing yet but will keep it in my travel list.